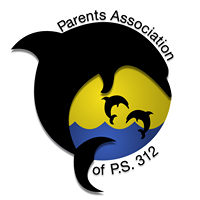 Every parent is a member of PS 312’s Parents Association (P.A.). The Parent Association’s email address is ps312pa@gmail.com Flyers are sent prior to monthly meetings. They are always looking for new volunteers! P.A. duties include electing an Executive Board & conducting monthly meetings, electing parent representatives to the School Leadership Team, organizing fundraising activities, organizing volunteers for safety patrol and other school activities in collaboration with the Parent Coordinator, acting as liaisons to the Community District Education Council, Civic & Community Organizations, discuss and distribute information for parents to support their child’s education via the PA Bulletin Board and Monthly Meetings.